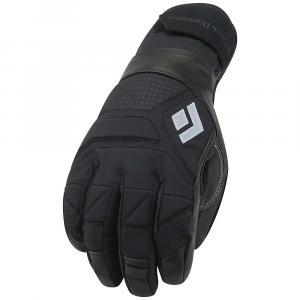 Great gloves for cold days on the move. Idiot straps, as it turns out, are a very smart idea. 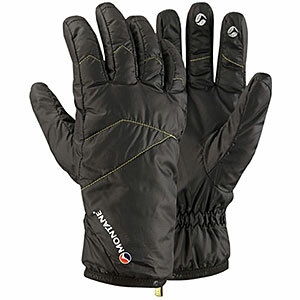 The Couloir Gloves are tough, warm, and make great backcountry work gloves. I DID get a little dampness in them and I wish the booger wiper on the thumb was softer and I wish it had a goggle squeegee. They are warm enough and nimble enough for everything except sitting still. 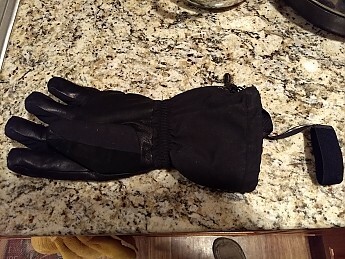 Skiing, "I like these gloves." 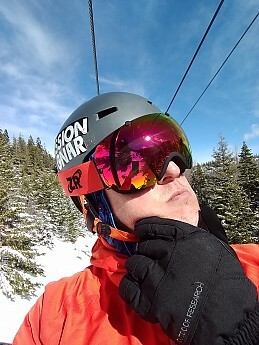 Testing Conditions: I have been using these as my ski gloves this winter and I also wore them on a little suffer-fest with my new wife in the snow, freezing rain, and gale-force winds. 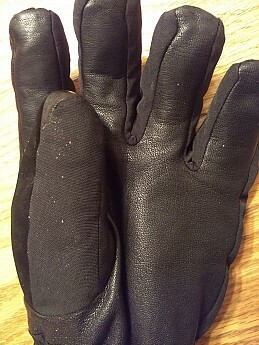 I used them for firewood gathering, chopping logs, skiing, and general camp chores that I wouldn't have wanted to do in gloves that were not as durable as these. Size: How about we agree to never buy gloves without trying them on? 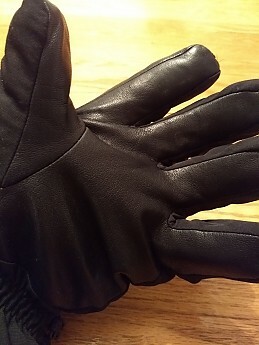 Everyone has different sized palms, wrists and fingers so telling you that I wore a large in these gloves just like I usually do in most brands really isn’t helpful. Even if I provided my hand measurements I don’t think I’d satisfy everyone. HOWEVER, in this case I had to provide my hand size and receive them via the postal service without trying them on. I used the size chart provided by OR and it worked the first time, so there’s that. I say trust the OR glove fit guide. They are loose enough to slip on and off quickly when I need dexterity and a hand warmer fits inside with no real issue, so I really like the fit. 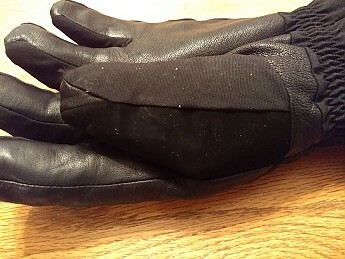 Features: In the wind, when you take gloves off they can easily blow away. The idiot straps on these gloves prevent you from having a bad day in this respect. When I say bad day, this could mean frostbite if you lose them on a summit when you take them off to take pictures and they blow away. The soft material on the thumb designed to wipe drippy noses is almost soft enough, but not quite. I prefer terry cloth to the synthetic patch of textured material they come with. The gauntlet elastic held the cuffs tightly on my wrists and effectively sealed out the cold and wet. They were easy to tighten and loosen when I needed them on and off. 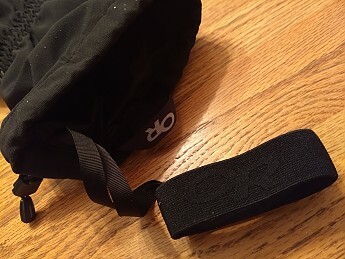 Idiot straps are WAY better than holding them under your armpits or risking losing them in a gust of wind, even if my wife thinks they're silly. The elastic on the cuffs interfaced well with my jacket and they fit over my jacket wrists perfectly. Ice climbers know that when you hang your gloves on your harness, cuff-up long enough they fill with snow and lead to cranky camper syndrome. 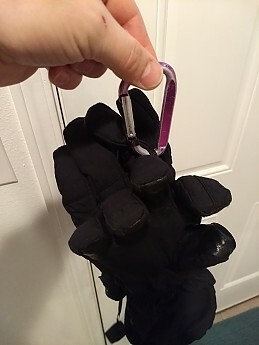 OR knew this and made loops on the fingers so you can attach them to a carabiner fingers-up to prevent them from accumulating snow when not in use. 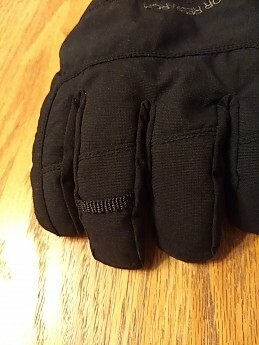 Waterproof: My hands got a little wet inside these gloves after repeatedly taking them on and off and using them to gather wet snow and firewood in freezing rain and snow. The wetness came from putting wet hands in the gloves. Most other gloves would have gotten a little wet too. Still, when this happened, my hands did stay warm, so I appreciated that. 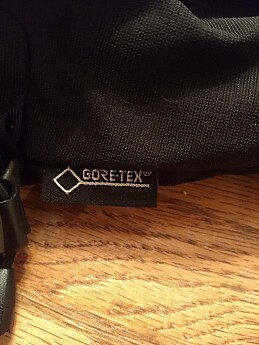 Additionally, after being wet inside the Goretex liner did its job and they dried out in a short period of time. 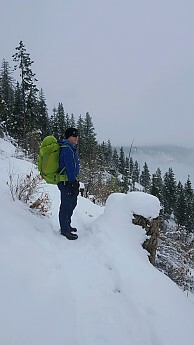 Warmth: Even while damp inside, the Couloir Gloves kept me warm while I was moving around and eventually they dried themselves out as I wore them. While sitting still on the chairlift (temps in the 22 degree range) and while skiing (these are not advertised as ski gloves) were on the chilly side. I'd wear them any day on the coldest, windiest climb while moving, but only down to the teens if I weren't very active. I guess it comes down to your activity level. They fit loosely enough for a thin liner glove inside if you'd like or some handwarmers. Dexterity: One can tie knots and manipulate large zippers in these gloves but you'll probably still take them off a lot for many tasks. 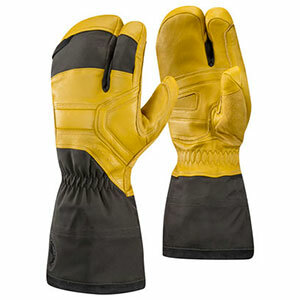 The lining is not removable so perhaps liner gloves would be in order if bare hands are a no-go. 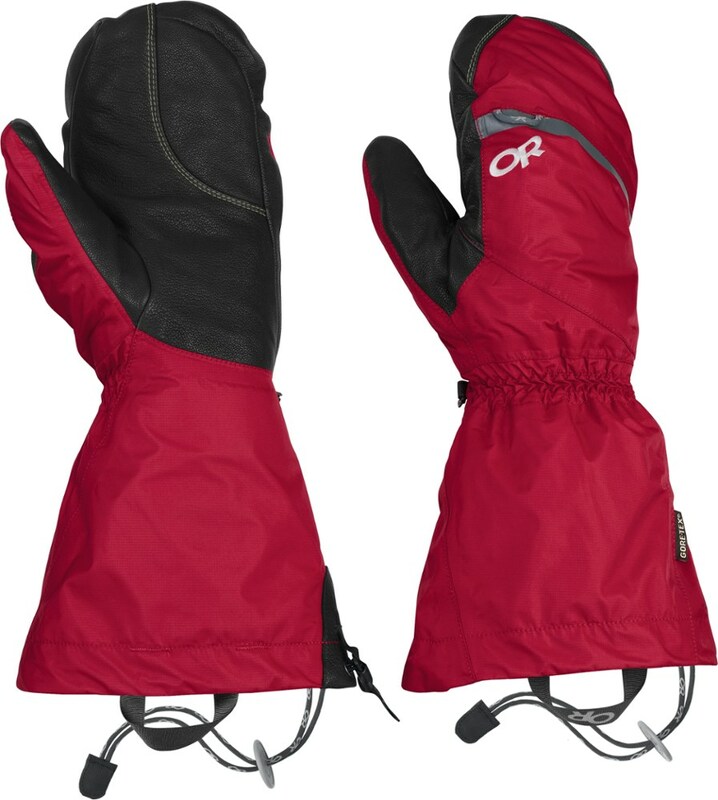 Bottom Line: The Couloir Gloves are gloves for people moving in the backcountry under their own power who may need to occasionally handle metal tools or tie knots. The perfect, one glove to rule them all is a myth. 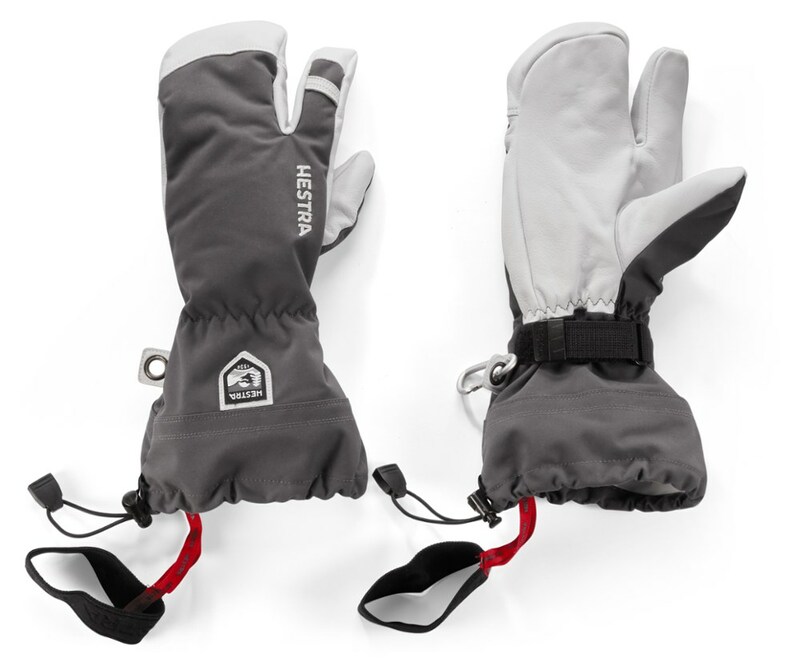 Add these to your glove collection as a good backcountry go-to. Thanks for testing these gloves out, Jeff. I agree about trying on gloves to find the right fit. I like the idea of wrist retaining straps. And I like OR products. 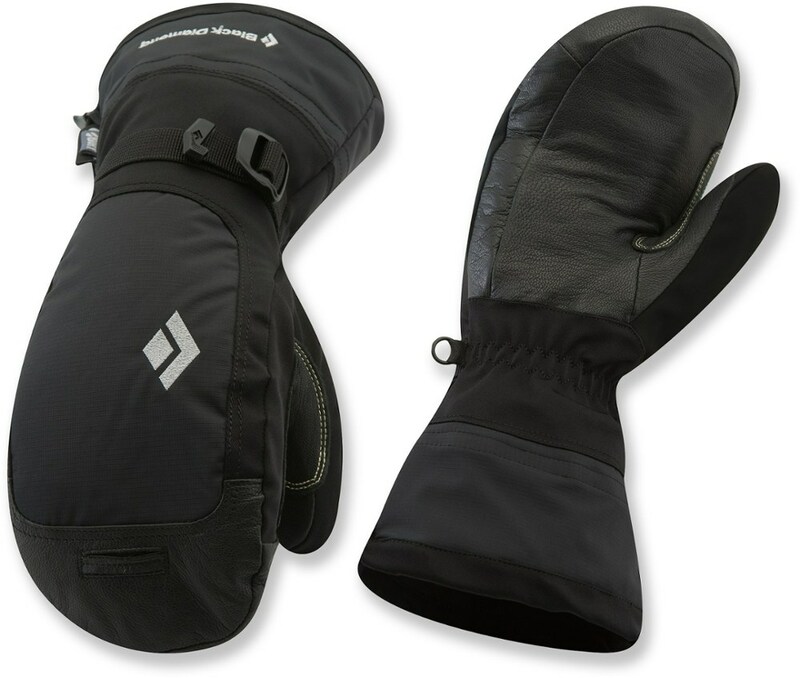 BUT... for backcountry use, especially camping, I want gloves with REMOVABLE insulating liners so I can change them out when they get damp from perspiration. 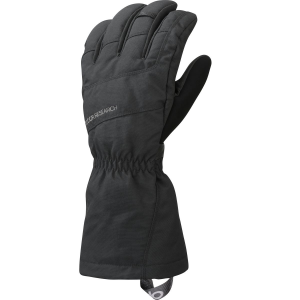 To me this is a basic must for winter camping gloves.